If you think your home air conditioning system or heater may need repair work, don’t hesitate! Call Progressive Service Company today. Our Raleigh HVAC technicians provide prompt, reliable maintenance services so your home stays cool and comfortable, and so you don’t have to continue sweating through the warm weather. A broken heating system can be one of the most frustrating problems to deal with. Not only is your home or office cold, some heating and cooling repair companies may tell you it will take days to schedule a service call. When it’s below freezing outside, “next week” just isn’t an acceptable answer. At Progressive Service Company, next week is never our answer for Raleigh HVAC repairs. Since 1983, we’ve offered same-day heating and cooling repair and service on residential and commercial HVAC systems for thousands of customers throughout the Raleigh area. Progressive Service Company offers its professional heat repair service to all of Wake and Durham counties, including the surrounding communities of Raleigh. When it’s hot outside, a broken air conditioning unit can ruin your day – don’t let it ruin your week. 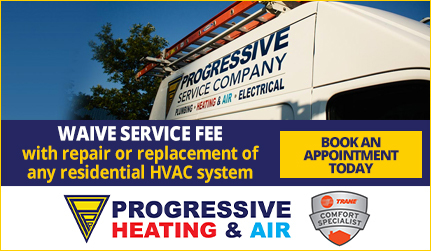 Call Progressive for fast, reliable A/C repair service. Our HVAC technicians in Raleigh service all the major air conditioner brands, including Trane, Carrier, Lennox and more. 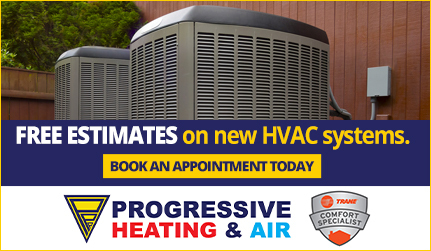 Whether your home air conditioning system needs immediate repairs or preventative maintenance, you can count on Progressive to get the job done and done right. Does your A/C unit need emergency attention? Our Raleigh HVAC technicians are on call 24/7 to repair your air conditioning system. 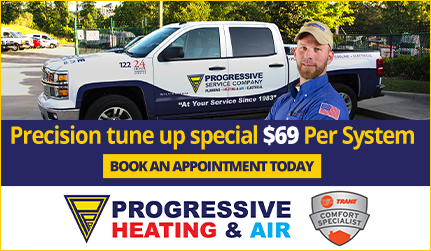 Between this 24/7 service and our 100% satisfaction guarantee, you can count on Progressive to make sure that your cooling system is ready for whatever high temperatures the season brings. 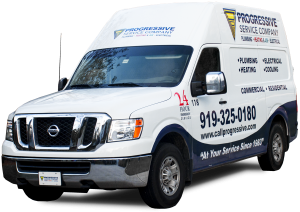 At Progressive, our HVAC technicians are proud to provide A/C unit repairs to homeowners in Raleigh.